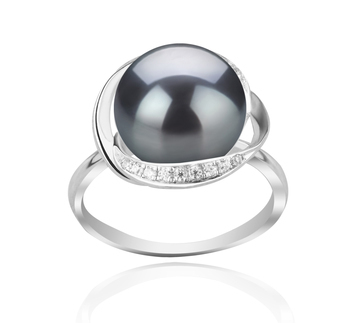 This superb and enchanting black pearl ring is the epitome of true elegance. 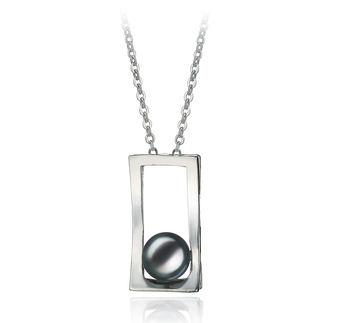 The Wendy 11-12mm Black Freshwater Cultured Pearl is truly magnificent. 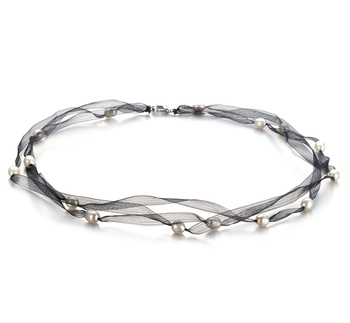 Not only does it compliment your beauty, but it also carries a dose of discrete seduction. 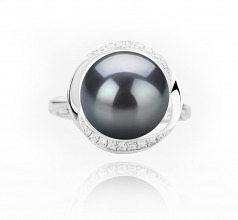 The large 11-12mm size makes this piece a statement pearl ring without any shade of doubt. 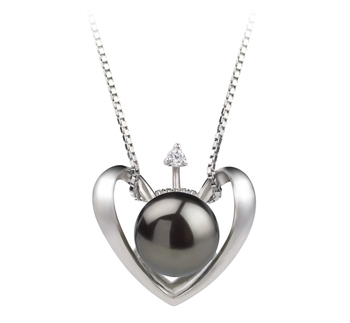 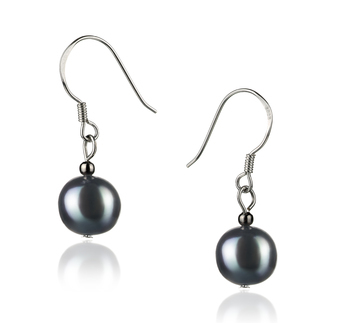 Mounted on a sterling silver setting with 18 little diamond stones, the opulent black pearls sends a powerful message. 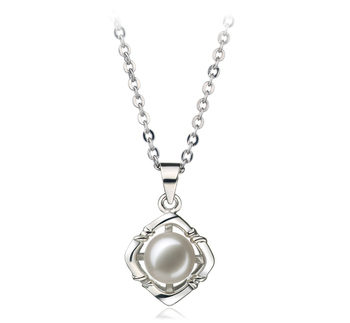 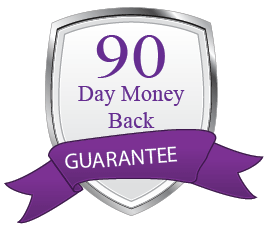 The AAA quality is noticeable in its shape, body, luster and overall grade. Even the pearl has a large size, the weight of this black pearl ring will give you a comfortable sensation. 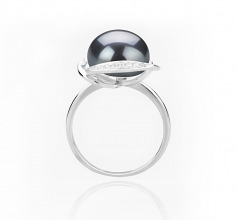 Once you slide it on your finger, you will see how special it is. 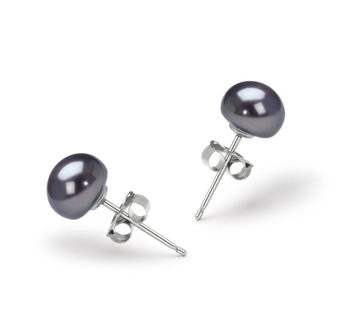 Pair it with an elegant suit with trousers, a classy hairstyle and a pair of black pearl earrings. 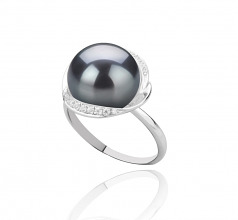 For an interesting touch, wear a red nail polish!